On Tuesday, May 10, at 8 pm, Small travels uptown to Harlem, with a performance on the new series The Crypt Sessions presented by Unison Media. The program includes works by Beethoven, Arvo Pärt and Alan Hovhaness alongside Tavener's Pratirupa and an improvisation by Small. The concert is in the atmospheric crypt area at the Church of the Intercession (550 West 155th Street). There is a pre-concert reception at 7 pm, with Indian hors d'oeuvres prepared by the acclaimed chef Yamini Joshi of The League of Kitchens. Tickets are $35 in advance and include the reception and the concert. Tickets are not available at the door, and space is limited. On Monday, May 9, at 7:30 pm, Small performs at St. Malachy's/The Actors' Chapel (239 West 49th Street in midtown Manhattan). The program features New York premieres of John Tavener's Pratirupa for solo piano and Small's own composition, A Journey in Silence: Reflections on the Book of Hours. Tickets are $20 ($15 for students and seniors), available at the door. If you want to hear what decades of dedication and hard work sound like, purchase a copy of Haskell Small's recording of original music for piano. This is a man who has mastered his craft as a composer. He also happens to play the piano beautifully. The disc begins with a lengthy piece inspired by the work of American painter Mark Rothko. Somewhat akin to Mussorgsky's Pictures at an Exhibition, the music takes its cue from individual paintings — in this case, four canvases that surround a solitary wooden bench. Much like the room after which it is modelled, the music is spacious — filled with prolonged chords and deeply resonant moments of silence. In the hands of a lesser composer, this type of atmospheric music can turn quickly into n'importe quoi. Small's form, however, has a sense of inevitability to it that comes only with years of experience. Much of this smoothness owes to the changing of just one or two parameters between sections — enough to keep our interest while maintaining a subtle effect overall. This modest rate of change also makes stark contrasts all the more forceful. Every now and then, Small interrupts the beautiful wash of sound with a flourish of excitement, propelled by a tireless rhythmic drive that showcases the composer's impressive mobility at the piano. Visions of Childhood, the second major work included, features many of the same compositional elements that pervade The Rothko Room. Once again, the composer avoids using silence as an ad hoc special effect, using it instead to give shape to the music. In addition to these similarities, listeners will also note substantial differences. Perhaps most notable is the jocular character that comes through in several of the Visions. 'Playing Rough' exemplifies this side of Small's musical persona, though much like Schumann's Kinderszenen, the music exhibits an adult's perspective on childhood; the only child at play is an imagined one — a shadow of times past. Small portrays this perspective musically by combining exuberant (youthful) rhythms with a more serious (mature) harmonic palette. The result is quite unique. Continuing his homage to Schumann, Small ends his Visions with a piece reminiscent of 'Der Dichter Spricht' ('The Poet Speaks' — the final movement of Schumann's Kinderszenen). Much like its forebear, 'Lullaby' has a transcendent quality that encapsulates the emotional journey of looking back on one's past. Small's sensitive performance, which does much to enhance that emotion, brings to mind Alfred Cortot's inspiring performance of 'Der Dichter Spricht' — no small praise! In keeping with the meditative state induced by 'Lullaby', Small ends his recording with A Glimpse of Silence. Even more than The Rothko Room, this piece is a masterclass in giving shape and direction to sustained sounds and silences, which, in a sense, is the overarching theme of the collection. Once again, we witness an artist at the summit of his creative powers, moulding beautiful sculptures from the most basic elements of our sonic universe. Two new works by Haskell Small, The Golden Spear and Silent Prayer, will be included in The Interior Castle, a mixed-media theater production by Musica Aperta (http://musicaaperta.org) to be premiered on May 29th, 2015, at St. Ignatius Church, Boston College with subsequent performances in a number of U.S. cities. Haskell Small will tour Japan in December, 2015 performing his composition The Rothko Room: Journeys in Silence and Schubert's great Sonata in B-flat Major, D. 960, known to have been a favorite of Rothko's, at the Kawamura Memorial DIC Museum of Art in Sakura and in other venues throughout Japan. Haskell Small has appeared in the pages of Fanfare, both as pianist (I have a performance of Pictures at an Exhibition by him in my archive, although that disc apparently has not been reviewed) and as composer. Since I’ve found little biographical information heretofore in these pages, a few words will be in order. Small received his training at the San Francisco Conservatory and Carnegie-Mellon University, studying piano with Leon Fleisher, William Masselos, Harry Franklin, and Jeanne Behrend. His composition studies were under the tutelage of Roland Leich and Vincent Persichetti, and he currently chairs the piano department of the Washington Conservatory of Music. His piano playing has taken him to major venues in London, Paris, and Japan, and in the autumn of 2013 he toured the U.S. with his “Journeys in Silence” program. 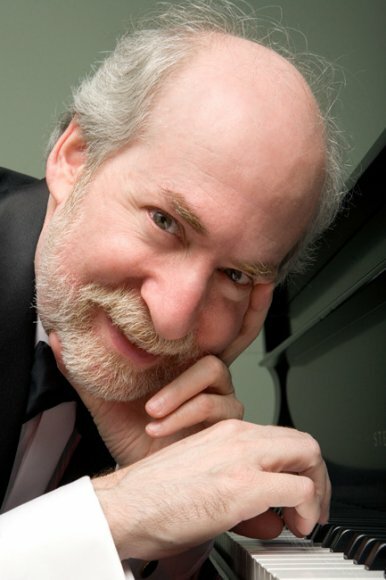 Compositionally, he has received commissions from the Washington Ballet, Three Rivers Piano Competition, Georgetown Symphony, and others, and for several years in the early part of this century, he was composer-in-residence with the Mount Vernon Orchestra. I suppose it is not even a “small” surprise that this composer should have written a good amount of music for his own instrument, and the disc in hand presents three fairly major works. The opening work, The Rothko Room: Journeys in Silence is, at a half hour, the most substantial work on the CD. It sounds nothing like Bartόk, Stravinsky, Poulenc, or Shostakovich, a point I make because of a review by former Fanfare reviewer John Story who, reviewing other piano works of this composer, didn’t “hear a note that is not underdigested Stravinsky and Bartók by way of Poulenc and Shostakovich.” Either Small has changed his style in these works, or Story has quite a different idea of what those composers sound like than I do. Rothko is a one-movement work that seeks to outline the life of the noted Abstract Expressionist American painter Mark Rothko. I don’t know enough about Rothko’s life to give my opinion as to how successful this attempted description is, but Small has written an effective piece that sustains interest throughout its subdued, rather atonal, bell-like opening through several contrasting sections which contain momentary driving ostinatos, very tonal chorale-like excursions, polytonal block chords, and a return to the bell-like motive that the composer here terms “bells of doom.” Also portrayed are Rothko’s struggle with mental illness, his final burst of creativity (represented by the polonaise form), and the blood draining from him as his life slipped away (he committed suicide by slashing his arms with razor blades), the latter represented by the work fading into nothing. While there are certainly overtly tonal ideas to be heard in the work, the better part of it utilizes stark and severe tonality, much of which borders on (but doesn’t really cross into) atonality. Haskell Small, the pianist, certainly knows what to do with Haskell Small, the composer. The challenge in performing a piece such as Rothko would seem to me to be the pacing of the piece. Much of it is quite episodic, and the space between the notes is as important as the notes themselves. In lesser hands, the piece would not cohere, but Small sees that it does so quite splendidly. Visions of Childhood is, not surprisingly, inspired by Schumann’s Kinderszenen. None of the movements (including such titles as “Playing Rough,” “Feeling Lonely,” and “Roller Coaster”) of this 10-movement suite lasts more than three minutes, and most are a good bit shorter. The tonal language of this suite is similar to that of Rothko, but the movements are self-contained miniatures, each with its own “idea,” and do not exhibit the episodic nature of the preceding work. I enjoyed the occasional humorous touches that the composer has interwoven into this suite, including the quintessential children’s “taunt” motive (i.e., g-g-e-a-G-G) that shows up (albeit in gentle fashion) in Feeling Lonely. Small either has children, or well remembers what it was like to be a child in this work. The work would make a good companion to its Schumann inspiration, either in recital or on disc. The CD closes with A Glimpse of Silence, an eight-minute opus that explores the concept of silence through such devices as a music box and a funeral march. The music box doesn’t sound like any that you’ve ever heard, but the effect is quite stunning, given its piquant and ethereal harmonies. Haskell Small’s music is well worth exploring, and he gives it what sound to my ears to be superlative performances, and the recording engineer has well captured the piano sound. Heartily recommended. Haskell Small's Journeys in Silence tour resumed this Fall with performances of Mompou's Musica Callada in Europe. Tour dates at calendar. He next performed the Catalan Spanish composer’s masterwork on Saturday, October 18 at Der Bergkirchengemeinde (The Mountain Church), Lehrstrasse 6 in Weisbaden and on Sunday, October 19 at The Wetzlar Cathedral, Domplatz 35578 in Wetzlar, Germany (http://www.dom-wetzlar.de/. The next performances were on Wednesday, October 22 at Conservatorio Superior de Música de Castilla y León, Calle del Lazarillo de Tormes in Salamanca (http://www.coscyl.com/en) and on Friday, October 24 at La Iglesia de los Padres Carmelitas (http://62.97.131.227/noticia/local/200604/el_centro_segoviano_en_madrid_pone_en_marcha_la_semana_de_san_frutos) in Madrid, Spain. Mr. Small also took part in an October 23 conference with students at Conservatorio Superior de Música de Castilla y León, discussing Musica Callada. Haskell then performed Musica Callada on Saturday, October 25 at Nuestra Iglesia-Convento de San Juan de la Cruz (http://www.spain.info/es/que-quieres/arte/monumentos/segovia/monasterio_de_los_carmelitas_descalzos.html), Alameda de la Fuencisla in Segovia and Sunday, October 26 at Monasterio de Sant Pau del Camp, (http://webs.ono.com/santpaudelcamp/), Carrer de Sant Pau 101 in Barcelona, Spain. See photos of Haskell rehearsing the music in the Monastery of San Juan de la Cruz, in Segovia, performing at Monasterio de Sant Pau del Camp in Barcelona and meeting with Berta Millia of The Mompou Foundation, also in Barcelona at https://www.facebook.com/haskell.small?fref=ts. "Musica Callada" literally means something like"silent music" and figuratively "Voice of the Silence". Haskell Small explained at the beginning of his introduction of "Musica Callada".The silence in "Musica Callada" should not be understood as the absence of sound, but rather silence as a place of inner peace. Frederic Mompou had expressed that he was trying to get close to this inner voice, as a kind of state between life and death, in which there was no pulse. The composer had said that he was a taciturn man and his music contains few notes. "Musica Callada" is a four-part work. In total there are 28 short pieces, for which one needs patience. But you'll be rewarded by a very elaborate end, which will bring a return to the earth, said Small. The American pianist shared the four books in two parts. During the break Jochen Stolla read poems of the Spanish mystic St. John of the Cross. On the seal itself is an image of Mompou. Frederic Mompou grew up near a bell foundry. This, one would say, influenced the piano sounds and one could hear the bell sounds from the music. Mompou‘s music was also search for the child in all of us. This could be heard well in the music that sometimes recalled children's songs. Small has played worldwide in many major cities and was honored for his excellent technique. In addition to his work as a pianist Small also works as a composer and teacher. "Musica Callada" was also released as a CD (http://www.msrcd.com/catalog/cd/MS1282). Read the original German-language review at http://www.mittelhessen.de/lokales/region-wetzlar_artikel,-Small-spielt-Hymnen-an-die-Stille-_arid,363010.html. Spain's Raval Cultural had a nice listing about the October 26 performance at Barcelona's Monasterio de Sant Pau del Camp - http://ravalcultural.bcn.cat/ca/content/el-pianista-haskell-small-oferira-un-concert-sant-pau-del-camp. Haskell Small's Journeys in Silence tour resumes this Fall with performances of Mompou's Musica Callada in Europe. Tour dates at calendar. Advance copies of Haskell’s new CD, The Rothko Room: Journeys in Silence are now available on MSR Classics and Amazon. The CD will officially be released on May 13th. Click here. Haskell Small returns to New York on March 28th with his acclaimed series Journeys in Silence, featuring his own composition “The Rothko Room: Journeys in Silence,” and music by Erik Satie and Alan Hovhaness. Friday, March 28 – 8:00 PM at Christ & St. Stephen's Episcopal Church, 120 West 69th Street in Manhattan. For tickets, click here. In the next few years, Haskell Small will be furthering his fascination with music that is primarily quiet, spacious and of a mystical nature with a series of concerts in a number of cities that will feature solo and chamber works by himself and other composers. Performances have already been set in Washington, New York, San Francisco and Columbia (South Carolina). As a sample of Small's playing in this milieu, click here to see his video on YouTube, which has already received over 40,000 viewings, of Arvo Pärt’s sublime Für Alina. Pianist/composer Haskell Small was part of a chamber music concert on Wednesday, May 9 and also presented a solo recital on Saturday, May 12. The May 9 concert featured Mr. Small performing with cellist Drew Owen at Harmony Hall Regional Center in Ft. Washington, Maryland, as part of the Afternoon Tea concert series. They performed the Beethoven A Major Sonata together, and each performed several solos, including Small playing a sneak preview of his composition, Visions of Childhood. The May 12 concert featured Mr. Small’s performance of his Visions of Childhood and works by J.S. Bach, Ordoñez and Schubert at Westmoreland Congregational Church in Bethesda, Maryland. This concert was presented by Washington Conservatory of Music and was the final concert of their 2011-2012 series. Haskell Small gave a recital on April 15 at the Washington County Museum of Fine Arts in Hagerstown, Maryland. Repertoire was Bach’s G Major Partita, the 2nd movement of Schubert’s great B-flat Major Sonata, Mr. Small’s own composition Visions of Childhood and his short paraphrase of Gershwin’s An American in Paris. The orchestral transcription of Haskell Small’s Scraps was performed by the Washington Metropolitan Philharmonic, Ulysses S. James, Music Director and Conductor, on February 12 at Church of the Epiphany in Washington, DC and on February 19 at Bishop Ireton High School in Alexandria, Virginia. Scraps is described by the composer as, “12 very little pieces of blues and jazz,” and is an orchestral transcription of a 2006 work originally for solo piano, written for Dutch pianist Marcel Worms for his multi-national Blues Project. More about it at http://www.haskellsmall.com/compositions/2006/scraps-orchestral. Other works on the February 12 and 19 concerts were Bob Mintzer’s Rhythm of the Americas (featuring the Washington Saxophone Quartet), Cesar Franck’s Symphony in D Minor and Jonathan Blumhofer’s Diversions. Haskell Small’s 12 Snippets for flute, clarinet, cello and piano was performed on September 18 as part of Think Small! at Copland House at Merestead in Mount Kisco, New York. The composer writes about the work, “Considering my name, I felt it was obligatory for me to respond to a call for scores by the "Association Decadanse" in Lunel, France for composers from around the world to each submit five to fifteen compositions, each of a maximum length of (sic) ten seconds. 12 Snippets was premiered in the Spring of 2000 as part of the Association Decadanse's "2000 for 2000" festival in southern France. More about the music at http://www.haskellsmall.com/compositions/1999/12-snippets. Other composers on the program were Copland, Sebastian Currier, Schoenberg, and Webern. The event was sponsored by, in part, Music from Copland House. Haskell Small is taking part in a fascinating artistic collaboration. Washington DC's Source Festival has joined him with visual artist Lee Gainer and director/ puppeteer Cecilia Cackley to create an Artistic Blind Date. Gainer writes, "We are tasked with the development and performance of a 30 - 40 minute play/experience/presentation about pretty much anything we want. We have a title to tease you with. Our performance will be called: Adjusting the Volume." Performance dates are June 16 @ 7PM, June 19 @ 3PM, June 25 @ 6PM, and July 2 @ 3PM. ABD tickets are $10. More about the project, including a sound file of Haskell's music, the Artistic Blind Date project and the Source Festival itself at http://www.sourcedc.org/sourcefestival/performances.html. Haskell Small's The Rothko Room: Journeys in Silence, was given its World Premiere on Sunday, February 20 at The Phillips Collection in Washington, DC. The composer writes about the new work, "(The artist Mark) Rothko said tragedy, ecstasy, doom are the only important things in art. I've tried this in music. In this piece, I'm trying to play so quietly on the piano as to be on the very cusp of audibility, but there are occasional outbursts paralleling Rothko's passionate nature (wild primeval, ritualistic dances). The work was influenced by Mompou's Musica Callada and the work of Arvo Part. It is in 1 continuous movement, a little under half an hour, in 4 parts, loosely paralelling the 4 paintings in the Phillips's Rothko Room, and reflecting the narrative of the painter's life journey. These parts are interwoven with an "ether" theme- floating in space. The piece also features a bell motif, at first very quiet, then later bells of doom." This continues the composer's exploration of quietude in music, which was featured on his acclaimed recording of Mompou's Musica Callada for MSR Classics. Other works on Mr. Small's program were Erik Satie's Ogive No. 1, No. 2 and No. 3, Alan Hovhaness' Suite for Piano, Op. 96 and Macedonian Mountain Dance and J.S. Bach's Partita in Bb Major, BWV 825. Visit the Phillips at http://www.phillipscollection.org/homepage.aspx. The internationally renowned Naxos label has issued a new CD of Haskell Small's Lullaby of War, Renoir's Feast and Three Etudes in Sound (catalog no 8.559649). The music is performed by pianist Soheil Nasseri and narrated by Martin Rayner. Lullaby of War was commissioned by pianist Soheil Nasseri and was inspired by Picasso's great painting Guernica. The piece includes poetry by Joy Harjo, Paula Tatarunis, Stephen Crane, Uri Zvi Greenberg, Walt Whitman and Yvan Goll. This is very powerful and effecting music, which when combined with the imagery, becomes something extraordinary. Renoir's Feast was a commission by The Phillips Collection of Washington, D.C. to celebrate the return of their beloved Renoir masterpiece, Luncheon of the Boating Party. Three Etudes in Sound explores the piano's 'color and sound control'. More about the CD at http://www.naxos.com/catalogue/item.asp?item_code=8.559649. More about Haskell's other CDs at http://www.haskellsmall.com/discography. Haskell Small has several upcoming performances you should know about. October 18 through 22, Haskell will be presenting sections of his work in progress The Rothko Room: Journeys in Silence in concert in Iceland. He will be traveling there with several colleagues to be part of a week of concerts of American music and masterclasses in Reykjavik and other cities around the island nation. His 6 Miniatures for bassoon and piano and Fugue and Postlude for flute, bassoon and piano will also be performed and Haskell will also participate in performances of music by Beth Anderson and Robert Ackerman. Speaking of The Rothko Room: Journeys in Silence, it will be given its formal World Premiere on February 20, 2011 at The Phillips Collection museum in Washington, D.C. The internationally renowned Naxos label has digitally issued a new CD of Haskell Small’s Lullaby of War, Renoir’s Feast and Three Etudes in Sound (catalog no 8.559649). Performed by pianist Soheil Nasseri and narrated by Martin Rayner, this disk brings together three of Haskell’s finest works. The recording is currently available exclusively online. The release of the physical CD is scheduled for May 2011. More about it here. There are several videos to accompany the music on YouTube at http://www.youtube.com/user/haskellsmall. The composer is on piano in these performances and the narration is by acclaimed actors Robin Weigert and Martin Rayner. This is very powerful and effecting music, which when combined with the imagery, becomes something extraordinary. More about Haskell’s other CDs online at http://www.haskellsmall.com/discography. Peer Music has published Haskell’s solo piano masterwork Renoir’s Feast. The composer had previously recorded the work for the Museum Music label. More about it here. Renoir's Feast for solo piano, Haskell Small's musical celebration of the French master's Luncheon of the Boating Party painting, has been published by Peermusic Classical. The piece is available in the U.S. through Theodore Presser Company, and in Europe through PeerMusic. Two more Haskell Small performance videos are available on YouTube. Fur Alina by Estonia’s Arvo Part and Song without (Good) Words by the early 20th Century American Charles Ives are the latest editions to Haskell’s growing and impressive catalog of performances and compositions online. You can see them on Haskell’s YouTube channel. Haskell Small’s Trio for flute, cello and piano was presented as part of Dialogues, a concert by the Third Millennium Ensemble this past October 25 at The Strathmore Mansion in Rockville, Maryland. The work was premiered by the Nanzetta Trio in 1984 and has been choreographed as "Shikar" by Lynn Cote for the Washington Ballet's 1994 Fall series. It was also the winner of the 1999 Marin Ballet Dance Score Competition. It’s almost here! Haskell Small’s much anticipated Naxos CD will be released in early 2010. This wonderful collection contains three of his piano works - Lullaby of War, Renoir’s Feast and 3 Etudes in Sound, recorded by pianist and strong advocate of Haskell’s music, Soheil Nasseri. Keep an eye on naxos.com for release details. Haskell’s MSR Classics recording of Federico Mompou’s Musica Callada has received some wonderful reviews from around the world. England’s Gramophone magazine wrote, “Small conveys the austere purity and concentration with an unhurried, timeless quality that seems just right... Throughout Small realises the microbially shifting expression... [Small] is in touch with Mompou's enigmatic, other-worldly music landscape..." and the London-based MusicWeb International wrote, “I am prepared to follow Haskell Small through these twenty-eight stations again, knowing that he probably is the living guide who knows this destination better than anyone…” Read more review excerpts, including a review of his Phillips Collection in Washington, D.C performance, and order the CD at http://www.msrcd.com/1282/1282.html. Also in the realm of quiet music, Haskell is currently working on a new piece for Phillips’s Rothko Room - Journeys in Silence, which will be premiered in February of 2011. Haskell's composition A Game of Go will be performed live at the U.S. Go Congress in Fairfax VA on Aug. 1st; see the Calendar for details. Additionally the Game of Go videos have topped 7000 viewings. Haskell has an upcoming European tour in June; a concert at the Ratner Museum on June 14th, the Lyceum July 5th. The WMPA performances on May 31st and June 7th of the orchestral version of “Scraps” have been rescheduled for next season. For more information, see the Calendar page. Peer Music's publication of Renoir’s Feast will be released this fall; new reviews of Haskell's Musica Callada CD release have been added to the reviews page, and can also be found in the American Record Guide May/June ‘09 issue. Haskell's 2-part video for his 1987 composition A Game of Go has been published online. Visit the videos section to watch both parts, and learn more and listen to an excerpt on the composition page. Haskell Small releases the Lullaby of War video series. Watch it here. Haskell's Youtube Channel can be found here. Haskell Small's latest release, Musica Callada, is now available on Amazon. The Spring 2008 issue of Haskell Small's newsletter Snippets has been published, with news of Haskell's composition Lullaby of War. "...as pianist Haskell Small showed in an unusual recital Sunday at the Phillips Collection, Mompou's music is worth attention... High marks to Small on courage alone, even higher for a riveting performance." Read the full article. Read Lisztian Sparkle, a marvelous interview with the composer in England's Music & Vision daily classical music webmagazine. Click image for fullsize view. Small possesses an intuitive tonal sense and a tremendous capability to modulate the touch. With only ten fingers he displayed a wealth of images.